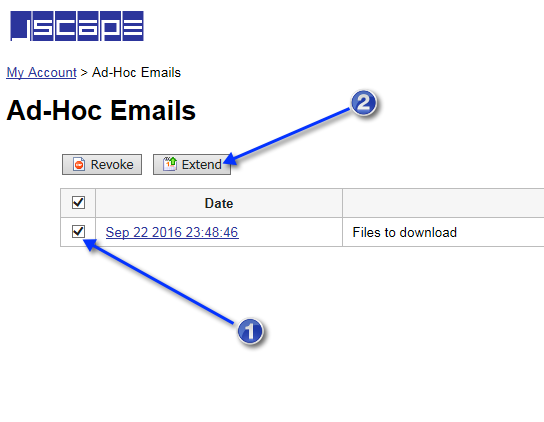 When a user sends a file via ad-hoc email file transfer (through the Web user interface), that user can specify when the download link should expire. Once the download link expires, the recipient can no longer download the file. 3. Click the Extend button. Once you've set that, the recipient should receive a notification email with the new expiration date.